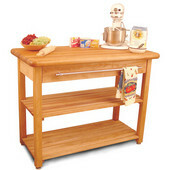 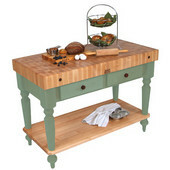 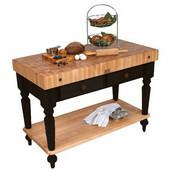 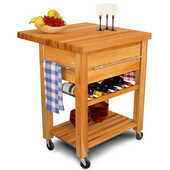 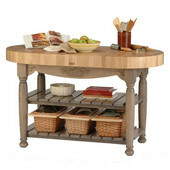 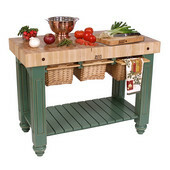 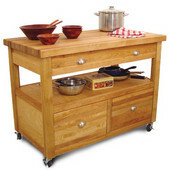 Butcher Block Kitchen Islands and Kitchen Carts are a mainstay in many kitchens due to their durability, versatility and beauty. 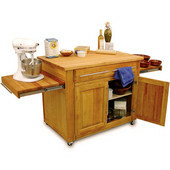 The butcher block top is constructed of thick hardwood strips glued together with an end grain configuration that's easy on knives because it resists nicks and gouges. 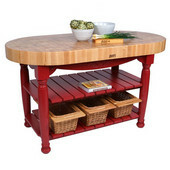 This tough and durable surface can be finished in a non-toxic oil finish for food preparation or with a conventional furniture polish when used decoratively. 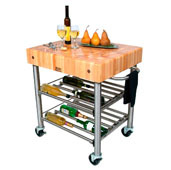 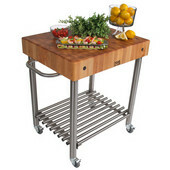 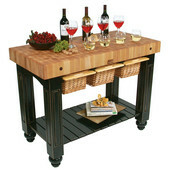 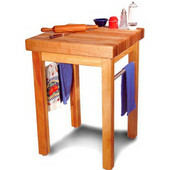 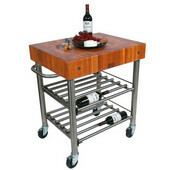 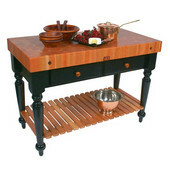 Butcher block islands and carts are available with hardwood or stainless steel bases and come in a variety of shapes, sizes, finishes and styles to complement any kitchen. 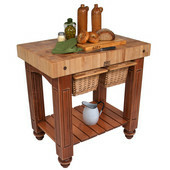 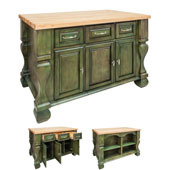 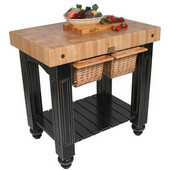 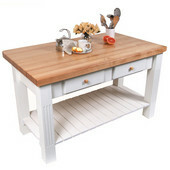 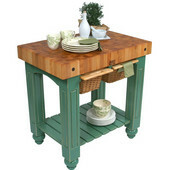 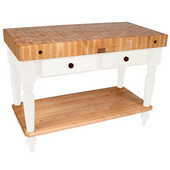 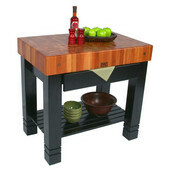 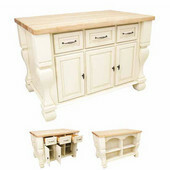 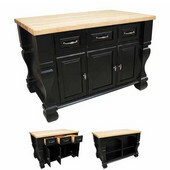 Choose a quality butcher block kitchen island or kitchen cart from among our top manufacturers, including Enclume, Home Styles, Catskill, Chris & Chris, John Boos and Covington.